Let’s face it: Meeting up with someone you like may be exhilarating, but it can also be nerve-wracking. If there’s one thing that you can do to improve your chances of your date going well, it's making it memorable -- whether that means a romantic stroll at the Dallas Arboretum or trawling through Deep Ellum comedy shows. The standard meet-up for drinks is a crutch for unimaginative chumps. These ideas below will ensure your date will be a night to remember, for better or for worse. Curious if your Tinder date is into pre-Raphaelites or digs pop art more? 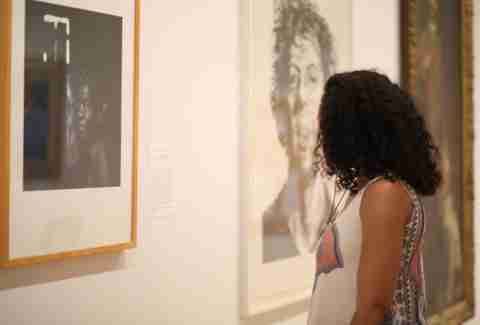 The Dallas Museum of Art's Late Nights programming is the perfect way to ask about their taste. At this monthly event, the museum keeps its doors open until midnight and usually includes special lectures, live music, and -- of course -- a bar to help you and your date loosen up and enjoy the tasteful nudes. Admission costs $10/person -- cheaper than a movie and more sophisticated. OK, maybe you can't perfectly execute a split leap, but -- still -- what’s more fun than year-round indoor ice skating at the Galleria? Even if you’re both terrible at ice skating, there’s always the fun bonus of either holding hands to brace each other or, if the date isn’t going well, taking them down with you when you fall. It's a nice metaphor for relationships, if you think about it. Admission is $11 during public skating hours, and skate rental is $3. There’s nothing like a date where you can nerd out about history and civic pride while you make eyes at each other. The Dallas Trolley Tour features 100 points of interest on its 15 stops. Because you can hop on and off at any time, it also provides a nice window for spontaneity, which is especially crucial on a first date. At $29/ticket, this isn't the cheapest option, but it's a great way to take an adventure together and learn about the city -- especially if you're new in town. Did you forget that you called yourself a “fearless badass who loves to be extreme with five Xs” in your dating profile bio? Now it’s time to put your money where your mouth is. iFly offers indoor skydiving inside a giant wind tunnel. It's not cheap -- as in, $70 for two flights a person "not cheap" -- but it's great for photo ops or proving that, yes, you would totally jump out of a plane without actually having to jump out of a plane. All dates are opportunities to prove that you’ve got the comedy chops to keep someone entertained in a relationship, and there's no better place to do that in town than Dallas Comedy House. Whether you want to see a cheap $8 show or sign up for an improv comedy class, it's never a bad bet. You may just be able to “yes and...” your way straight into their heart for good. Do you love the ruthlessness of bumper cars, but also possess an irrepressible competitive streak? You and your date can certainly climb into a couple giant bumper cars and play a little Whirlyball -- an unholy marriage of lacrosse and basketball all played while driving a bumper car. The bizarre sport costs $15 an hour per person, and if your date's game for this, they’re probably a keeper. Victory Park's massive Perot Museum is quite a looker. Not only is the museum building itself an attraction, with its weird cube construction, each floor houses hundreds of hands-on exhibits. It’s probably best to take a date here on one of the museum’s adults-only late night programs unless your date has indicated that they enjoy being surrounded by busloads of screaming school children while you two browse. Let's be clear, the Fort Worth Zoo has won awards for how great it is. 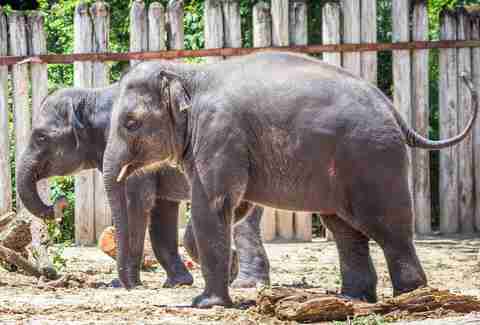 And, besides, everyone loves getting a photo with a baby elephant or gorilla, several of which have recently arrived at the zoo. While there you can experience guided walking tours, see any of its 540 animal species, or relax in front of the stone fireplace of its Bluebonnet Cafe once you start winding down. Admission is just $14. Yes, Twilite Lounge is technically a bar. But it’s so much more. This ode to New Orleans jazz bars boasts regular appearances from local musical greats as well as touring acts. If your date isn’t wowed by Twilite Lounge and its famous Frozen Irish Coffees, you might want to reconsider the match anyway. Now entering its 15th year, the Nasher Sculpture Center is filled with some of the most stunning works of sculpture in the world -- from artists like Pablo Picasso, Joan Miró, and Auguste Rodin. 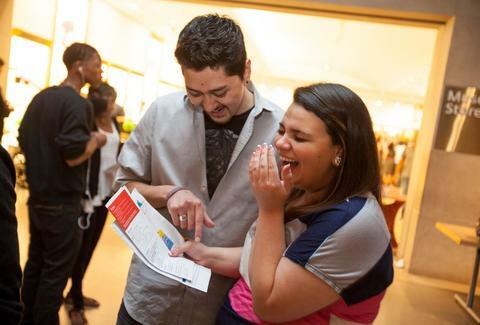 For $10, an afternoon there is the best way to wow your date with real sculpture knowledge or let one of the Nasher’s staff do the heavy lifting by dropping some fascinating sculpture facts on them. Sure, a 1970s sci-fi classic about a society in which anyone over 30 is killed off isn’t necessarily the most obvious theme for a successful date. But the Fort Worth Water Gardens, where pivotal scenes in the movie were filmed, still make for a fun time full of hand-holding and puddle-jumping. It's also a short distance away from great spots like Acre Distilling and Whiskey and Rye. The town of Addison’s annual Summer Series continues this year. Every Friday night from June to August, there will be live music in one of the parks in Addison Circle. 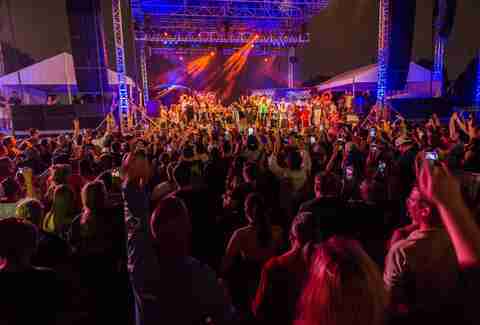 The bands vary from country to jazz to tribute bands and salsa. Grab a blanket, and lay out under the stars. Not only are the gardens at the Dallas Arboretum perfect for photo ops, it’s also quiet there and usually not too crowded. During the summer, the arboretum puts on various events including summer shows and concerts, which gives you the chance to pair a concert with your nice walk for a solid evening. Baseball can be perfect for a date because it gives you time to talk instead of shouting in a crowded bar. Between the cold beers or yardstick margaritas, sit back and watch the Texas Rangers play and savor the good conversation. Maybe you’ll be spotted for the Kiss Cam and get to smooch in front of thousands. If you’re set on the whole dinner thing, at least pair it with a nice view. In the Trinity Groves area, you have your pick of restaurants from Italian at Saint Rocco’s New York Italian to Mediterranean at Souk Mediterranean Bistro & Bar to Chinese-Mexican fusion at Chino Chinatown. After you’re done with dinner, walk over to the Margaret Hunt Hill Bridge for a romantic promenade with one of the best views of the Dallas skyline. If you’re good at golf, you can impress your date. If you’re bad at golf, you can both laugh at each other. The best part: There’s plenty of shade and fans at Topgolf to keep you cool while you play. Order some drinks and snacks, and if you want to make it interesting: loser picks up the tab. Get a little exercise by taking a kayak or canoe ride on White Rock Lake. White Rock Paddle Co. is open Wednesday through Sunday to get you decked out with your life vest and every you’ll need to set sail. If you really want to make it romantic, plan your ride around sundown and watch the sunset. Just make sure you’re back by sundown because that’s when Paddle Co. closes. Shake up the usual date routine by going to a speakeasy with great live music. You can go in the front door and walk through the barbershop that leads to bar and dance floor, or you can slip in through the back if you want to avoid the line. Once inside, grab a craft cocktail (we suggest their Old Fashioned) and start moving your feet. 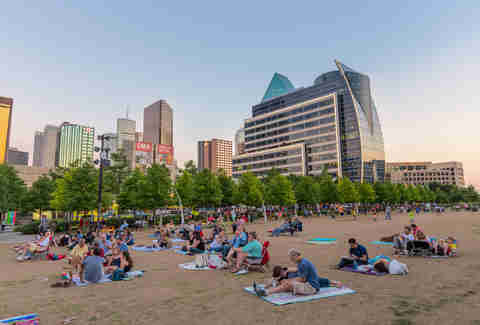 While this may seem obvious, Klyde Warren Park is truly one of the jewels of Dallas and one of the best outdoor spaces where you could meet up with a special person once the weather gets a few degrees warmer. The view from the park, particularly after sunset, is always breathtaking. You can either bring a packed picnic for two or peruse the vast array of food trucks which always line the park’s edge. The ultimate test of any relationship is figuring out whether you and your date can cook a meal together without going all Gordon Ramsay on each other. 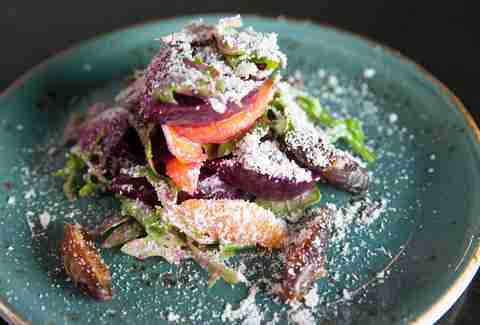 For a moderated version of that, Sur La Table offers weekly cooking classes with a wide variety of themes and dishes that are not instant ramen. Nothing tastes as good as pasta you made together on a romantic date. This isn't exactly a standard date, but it will get you both outside doing something great for the world. Non-profit group For the Love of the Lake regularly hosts volunteer cleanup events to preserve and enhance the natural beauty of White Rock Lake. Nothing feels better than you and your sweetheart pitching in to help keep the city clean. For an endorphin rush you'll probably both appreciate, you could certainly do worse than this gorgeous 6.5-mile hike through 121 acres of rolling wilderness and bike/hike trails. Perhaps you can even share your trail mix with each other. 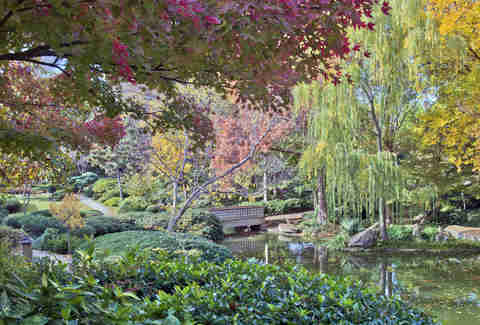 This special section of Fort Worth’s famous Botanical Gardens features strolling paths lined with traditional Japanese landscape as well as ponds. Its breathtaking beauty and tranquility is sure to impress your date and put you both in a calmer state of mind than the one you had when you walked in. Keep in mind that most of the Botanical Gardens are totally free, but admission to the Japanese Garden is $7. This incredibly popular seasonal, semi-annual event always sells out quickly -- and for good reason. Local thespians take on productions of the Bard’s most popular works in the backyard of Oak Cliff’s beloved Wild Detectives bookstore and coffee shop. This event is especially fun for the theater nerds and English majors that you love. Tickets are $7 apiece. Movies usually aren't the best idea for the first or second date, but if you're past that point, you’re safely in dinner-and-a-movie territory. 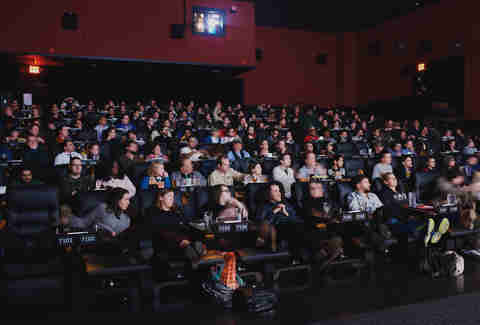 Instead of just sitting in a dark theater, try attending one of Alamo Drafthouse’s specialty screenings or movie parties -- with food, drinks, and fun all built around the theme of the movie. If you or your date are a fan of sing-alongs or quote-alongs, even better. Remember when you were a kid and you would invite the other kid you had a crush on over to your house to jump on the trampoline? This is basically that, but a whole room with nearly floor-to-ceiling trampolines, foam pits, and dodgeball for grown-ups. For just $12 (or $20 if you want a full two hours), you and your date can go make all your childhood dreams come true. Finally. There are, sadly, few places like the Sons of Hermann Hall left in the city, but this historical fraternal order ballroom offers swing dancing lessons, hosted by the Dallas Swing Dancing Society, on Wednesday nights for all ages and levels of skill. Wearing petticoats, 10-gallon hats, and bolo ties are optional but highly encouraged.